Dabur Pudin Hara are made from Pudina Satva (a blend of mint oils) - Digestive properties, Gas and Indigestion, Natural relief stomachache. 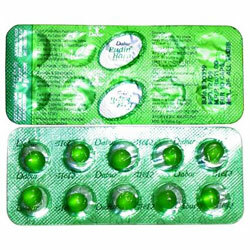 Dabur Health Care Product - Worldwide Shipping. Dabur Pudin Hara gives quick relief from stomach ache, gas and indigestion. It is a trusted, fast-action remedy for stomach disorders. Pudin Hara is completely natural and safe. Take 1 or 2 capsules with a glass of water aftera meal. Not suitable for infants or for persons with chronic digestive disorder. Presented in a soft gel capsule for easy usage.